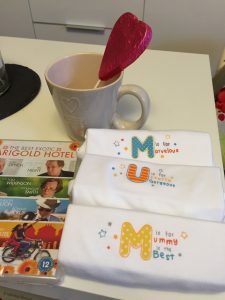 With this talk of Mother’s Day, I’ve been asked by Truprint to put together my top Mum Moments so far, so I’ve picked just a few. I have so many amazing Mum moments that this list could have gone on forever. When we got over the shock of finding out I was pregnant, we were so excited. Baby Fox was the first baby of that generation on both sides of the family… Cue extreme excitement! 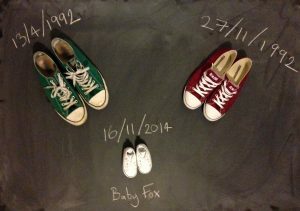 This was how we announced to the world that Baby Fox was coming. Dan is obsessed with converse, so it couldn’t be anything else! Look how tiny they are! I’m the kind of person that looks at a photo of myself and goes “Oh god, that’s awful”. However, this is about the only photo I don’t think that about. I look so relaxed and in awe, pure happiness and in love. A Mother’s love conquers all. I definitely agree with that. Meeting this little squishball after all that time, all the hospital trips, the cancelled c-section because he was no longer breech and the general panic surrounding the end of pregnancy, was so worthwhile. It really is life changing. 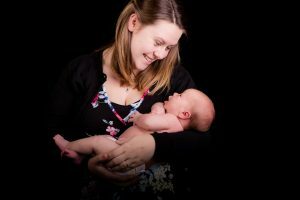 This isn’t a stereotypical ‘Top Mum Moment’ because it’s not really about me, but it is one of the things I think about when I think of some of my favourite times as a mum. 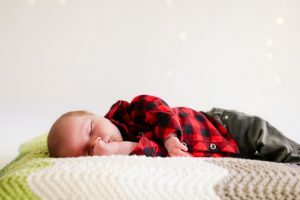 Alfie had a photo shoot at 12 days old (Yes, he is 12 days old in that photo and not 6 months!) Our friends Wayne and Linda did the photo shoot and captured some stunning photographs. Have you seen the photo shoots where the babies are naked and all squishy and they look adorable? Well, we tried that… Alfie pooped all over Dan and it has got to be one of my favourite Mum moments EVER. It was hilarious and I was so proud of Alfie for doing it!! It is such a shame that it wasn’t caught on camera is all that I can say! Your first Mother’s Day is always going to be a special one. Alfie did very well and, even though he can’t talk, he managed to get Dan to buy me some presents and get me a card. Talk about learning to run before he can walk! Obviously Alfie has now outgrown the baby vests, the DVD is who knows where and the chocolate is longggg gone, but the mug is still one of my favourites! 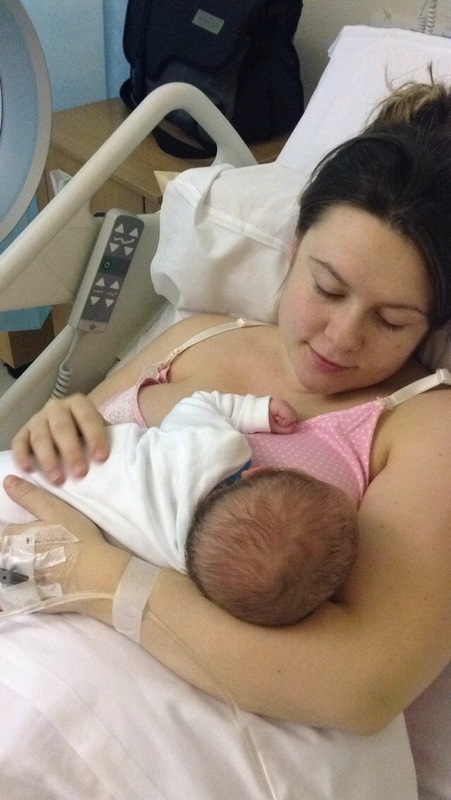 Alfie was tiny on my first Mother’s Day but I absolutely loved it. We had the best cuddles and a lovely family day together. I’m hoping that it will be the same again this year! What are your plans for Mother’s Day? Truprint have some amazing offers on at the moment. With lots of photos to get printed and maybe even some canvases on the wall, that’s where we will be heading. But how will you be spoiling your mum this Mother’s Day?